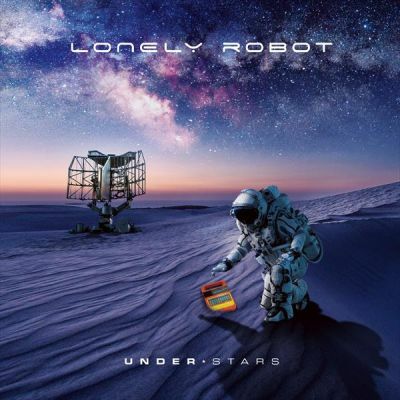 CD & DVD Reviews, Issue 2019-028: Lonely Robot - Under Stars: a review and interview with John Mitchell! CD & DVD Reviews, Issue 2019-027: A.C.T. - Rebirth, Anima Mundi - Once Upon A Live, Tim Bowness - Flowers At The Scene, Kinetic Element - The Face Of Life, and Ni - Pantophobie. CD & DVD Reviews, Issue 2019-026: a Duo Review of Pocket Size - Immortality - Cleaning The Mirror Vol. 2. The Interviews section has been updated with an interview with Collin Leijenaar and Robin Z. of Dilemma. 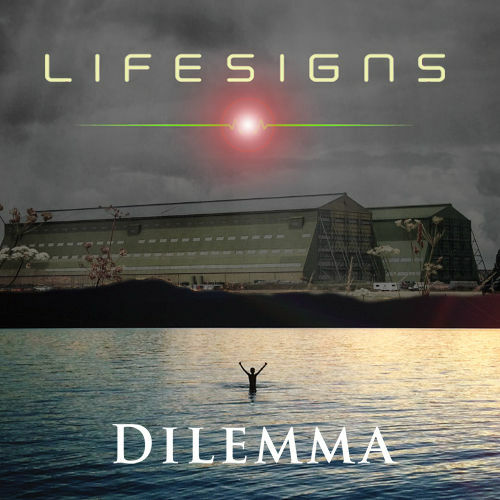 There is also, a concert review of Dilemma and Lifesigns in Zoetermeer! CD & DVD Reviews, Issue 2019-025: Claudio Delgift - The Essential Claudio Delgift, Phil Keaggy, Tony Levin and Jerry Marotta - The Bucket List, Joost Maglev - Alter Ego, Static Tension - Ashes To Animation, and The Wrong Object - Into The Herd. Prog Central - Progressive Rock: Our Spotify Playlist for those who enjoy the more traditional style of progressive rock has had a major update. Discover 20 new albums and two hours of listening from the likes of Lonely Robot, Mostly Autumn, The Mute Gods, Alan Parsons, Siena Root, Focus, RPWL and M�rglbl. Listen here.. Each of our playlists will be updated with fresh tracks every month. CD & DVD Reviews, Issue 2019-024: a Duo Review of Devin Townsend - Empath. 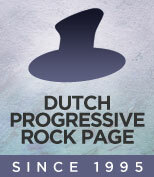 Prog Central - Progressive Metal: Our Spotify Playlist dealing with the heavier side of prog has had a Spring make-over. Listen to 20 slabs of prog-metal including new releases from: Rendezvous Point, Arch/Matheos, Shumaun, Darkwater, Soen, Dreamwalker Inc, Periphery, Myrath, Voyager, Devin Townsend, Wheel, Moon Tooth and Evergrey. Listen here..
CD & DVD Reviews, Issue 2019-023: Corciolli - Ilusia, HOIA - Scavanger, Jadis - Medium Rare 2, Rhys Marsh - October After All, and The Mute Gods - Atheists And Believers. CD & DVD Reviews, Issue 2019-022: Sam Braun - Dreaming Of Life, The Gödel Codex - Oak, Mörglbl - The Story of Scott Rötti, The Re-Stoned - Ram's Head, and The Winter Tree - Topaz Islands Dreaming. CD & DVD Reviews, Issue 2019-021: 41Point9 - Mr. Astute Trousers, John Lees’ Barclay James Harvest - The 50th Anniversary Concert, Mike Goode - On Track… Emerson Lake & Palmer - Every Album, Every Song, Imperial Age - The Legacy Of Atlantis, and Rozmainsky & Mikhaylov Project - Adventures At The Babooinumfest 2017. CD & DVD Reviews, Issue 2019-020: The Black Fall - Clear Perception, Hans Lundin - The Solo Years, Melanie Mau & Martin Schnella - Pieces To Remember, Mystery - Lies And Butterflies, and Manuel Schmid & Marek Arnold - Zeiten. CD & DVD Reviews, Issue 2019-019: a Duo Review of Shumaun - One Day Closer To Yesterday. Concert Reviews has a report on Spanish band Dry River playing in Bilbao, Spain, on 16 February 2019. CD & DVD Reviews, Issue 2019-018: All Traps On Earth - Drop Of Light, Daniel Eliseev Project - Night Shadow, Pinn Dropp - Perfectly Flawed, RPWL - Tales From Outer Space, and Shalash Band - Shalash. CD & DVD Reviews, Issue 2019-017, a Mini Reviews Special with: Blank Manuskript - Studio-Live-Session ORF RadioKulturhaus, JPL - Retrospections Vol III, Moonstruck - Web Of Deception, Out Ink - Time And Emotions In The Natural World, Rachel's Birthday - An Invitation To Rachel's Birthday, Roz Vitalis - Elephant Live, Soniq Theater - Brandenburg, and Syndrom - Bloodbeats. It took a while but Concert Reviews has been converted to the new layout and the first article here has fallen victim to timing issues and other problems. So long overdue, here you can read about Silhouette and Mangrove live in Alphen aan den Rijn! Something For The Weekend: The latest edition of our new-look blog is available. In this edition we feature 5 great prog albums you may have missed last month: Darkwater, Cheeto's Magazine, Soen, Not Otherwise Specified & Wheels. CD & DVD Reviews, Issue 2019-016: The Gardening Club - The Riddle, The Last Detail - At Last... The Tale And Other Stories, Prins Obi And The Dream Warriors - Prins Obi And The Dream Warriors, Xavi Reija - The Sound Of The Earth, and The Samurai Of Prog - Omnibus - The Early Years. CD & DVD Reviews, Issue 2019-015: Dreamwalkers Inc - First Re-Draft (Inter-Review). CD & DVD Reviews, Issue 2019-014: Dewa Budjana - Mahandini, Stephen Lambe - On Track... Yes - Every Album, Every Song, Methexis - Topos, The Neal Morse Band - The Great Adventure, O.R.k. - Ramagehead, and Stephan Thelen - Fractal Guitar. CD & DVD Reviews, Issue 2019-013 Autumn - Stacking Smoke (Inter-Review).